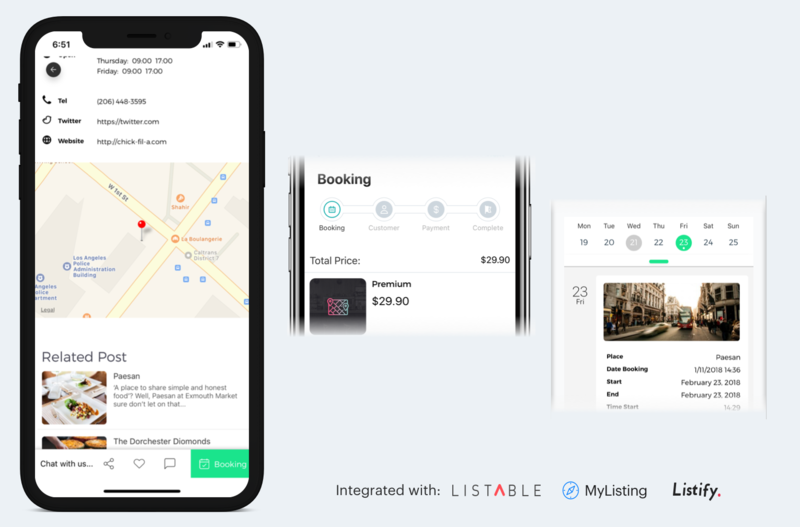 Build a mobile app for your Directory services, explore cities, discover places, restaurant services… Everything you need to build an amazing app for your local community. Support login by Facebook and sync to WordPress users. Process reservation is never easy by tap to the calendar.